A £1.6m community centre which has been "massively underused" can become a "vibrant hub", a charity has said. 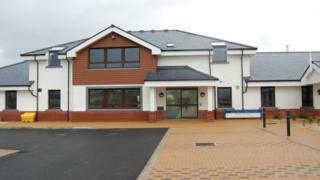 Jurby & Northern Community Initiatives chairwoman Angela Quaggin said the organisation wanted to breath new life into Jurby Health and Community Centre. She said the charity had been "working with residents to find out what they want and need". As a result, health and wellbeing classes have been introduced and other activities will begin in September. The charity has also been staging dance, drama and writing classes at the facility, which opened in January 2012. Mrs Quaggin said when funding from the Children's Centre charity ended, they "fell into a lull" and the centre became "underutilised". "We now have a new board of trustees... and we have been re-energised," she said. "This is an exciting time and we're benefitting from a groundswell of support to make these exciting and positive changes."